3-layer laminated fabric, providing freedom of movement, warmth and waterproofness. 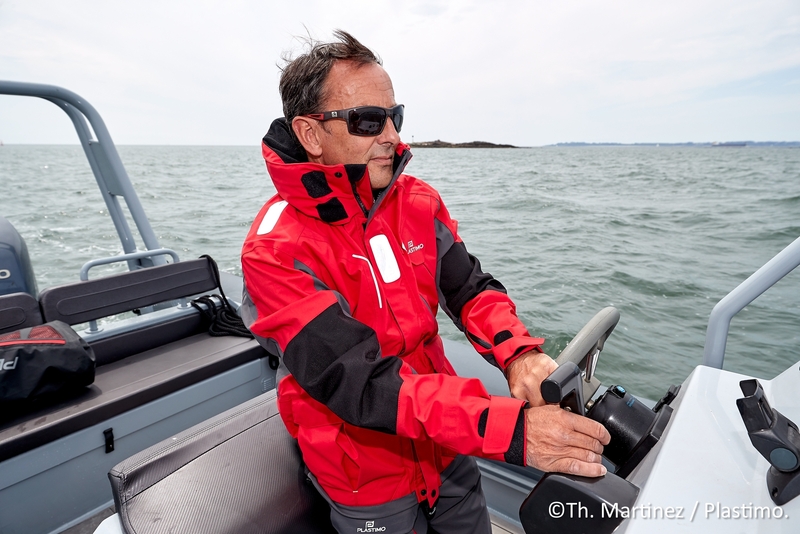 Tailored to suit all your activities, whether by the seashore or off in blue water. 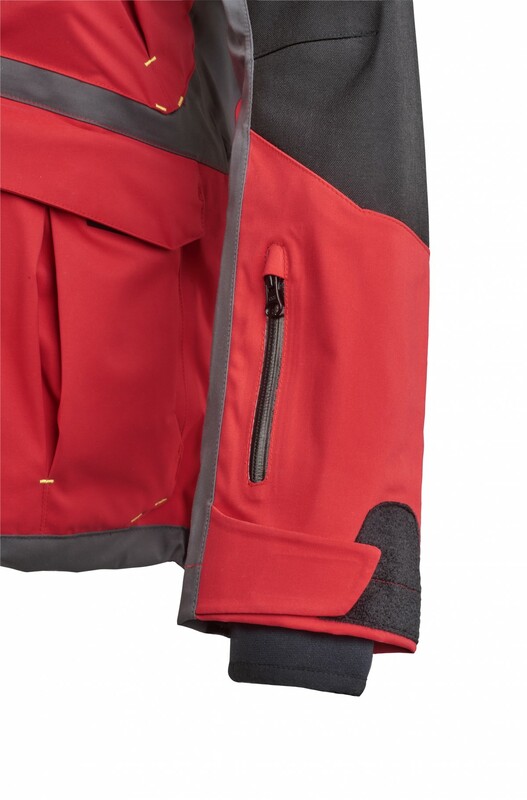 Lots of innovations, such as a removable gaiter which you will zip on or off in just seconds.This extra protection prevents air and water ingress. 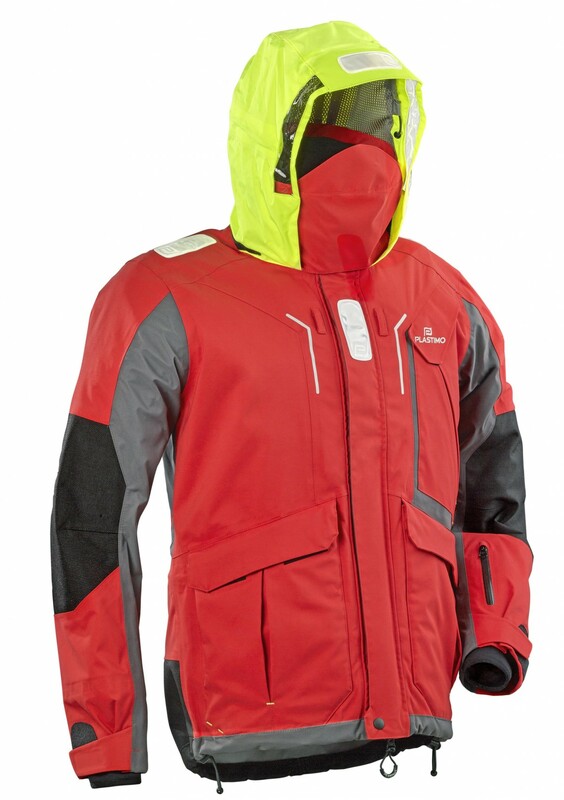 Retro-reflective tapes on shoulders, chest and hood for added visibility. Reflective brand signage and graphic stripe. Articulated elbows. 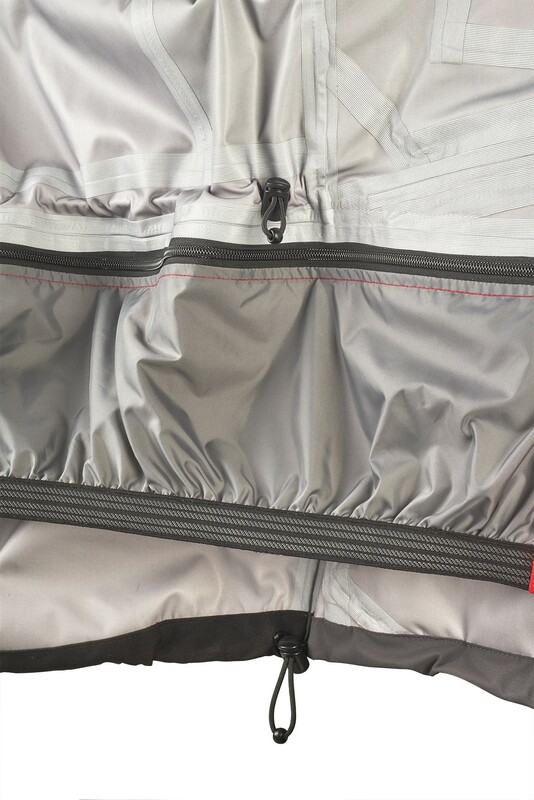 Cordura® reinforced elbows and seat area. 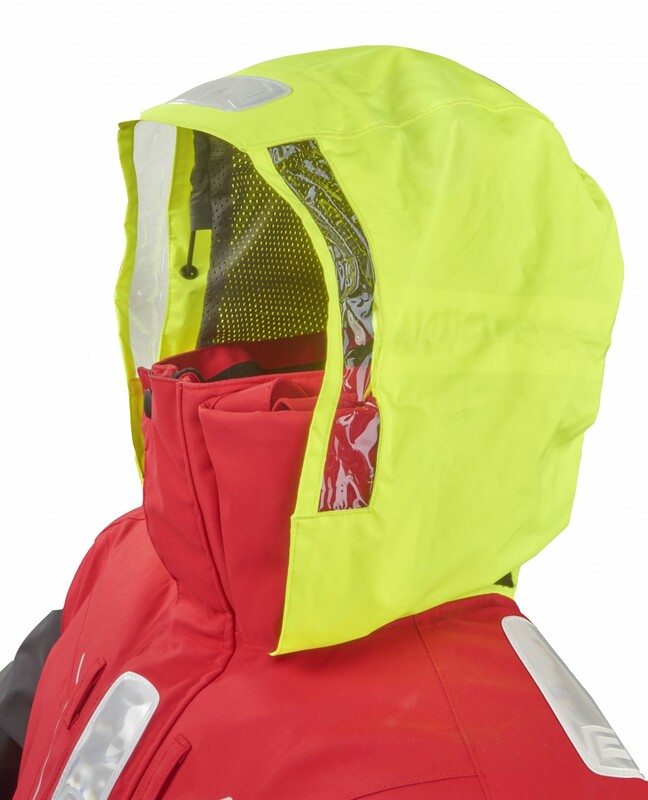 Stowaway mesh-lined hood, adjustable on back of head. 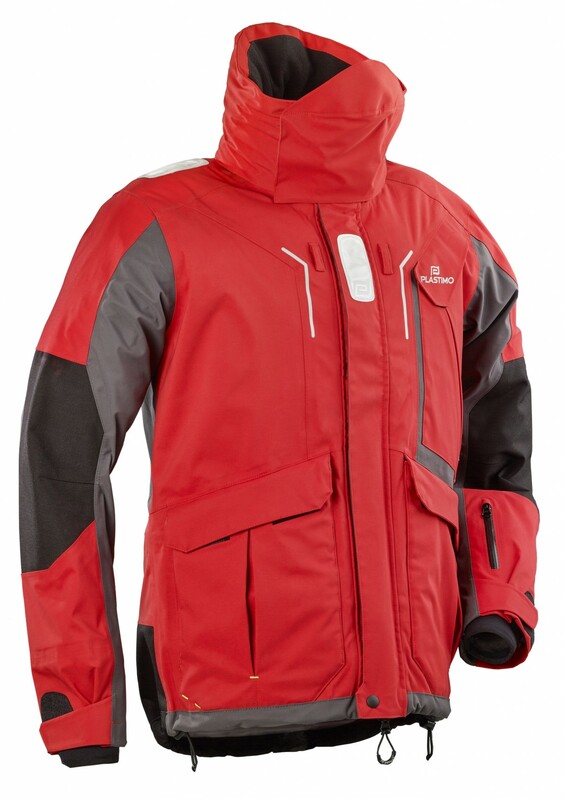 Transparent windows on the side contribute to extra face protection while maintaining a very good peripheral vision. 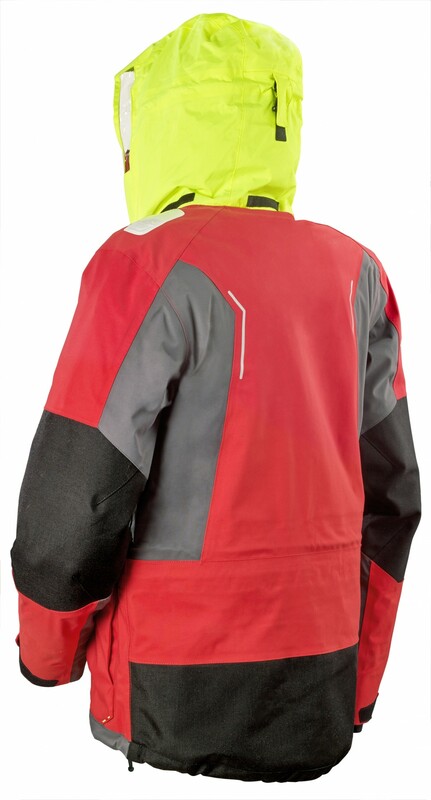 Neon yellow colour combined with reflective tapes ensure extra visibility and safety. 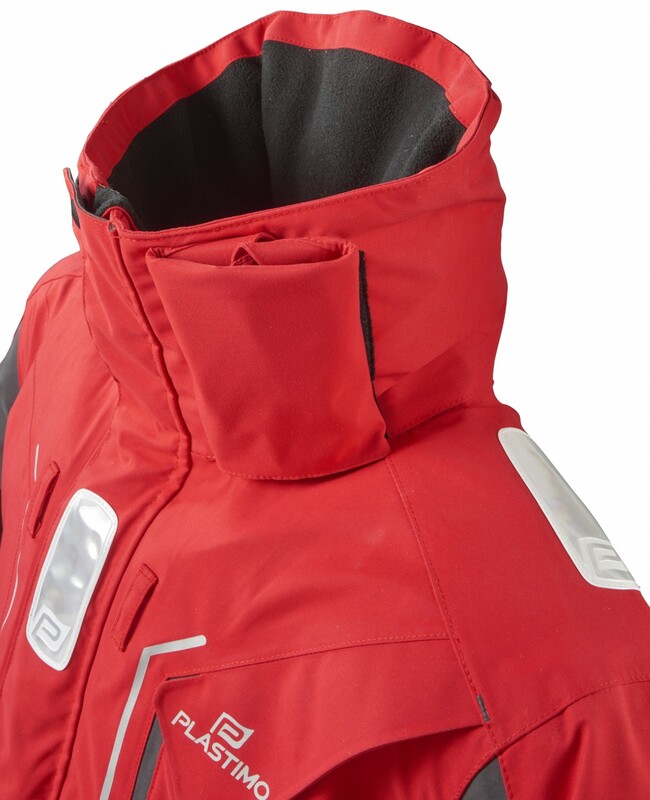 High thermal fleece-lined collar with foldaway adjustable mask providing additional protection to mouth and throat. 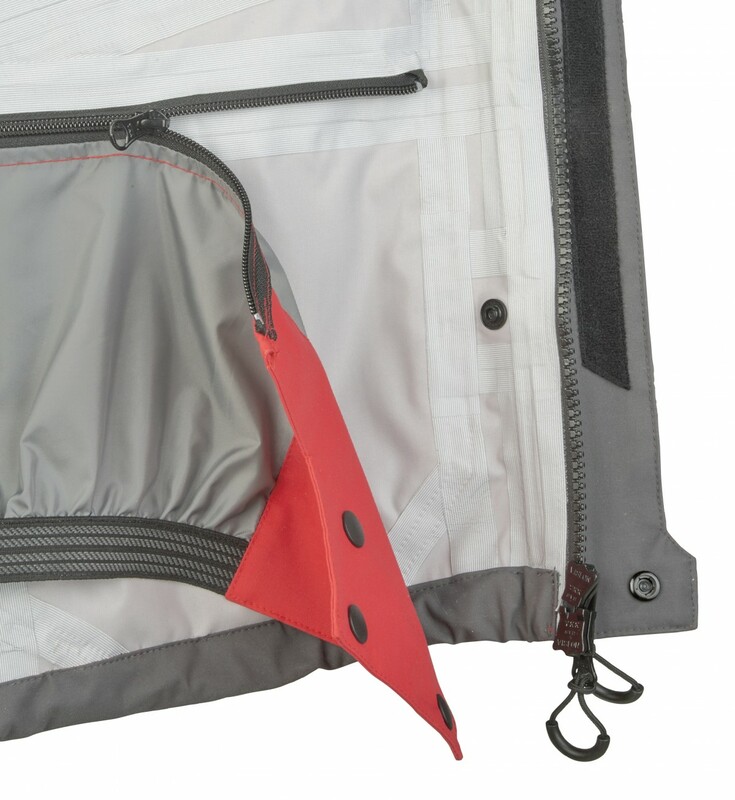 2 large top entry cargo pockets, micro-fleece lined. 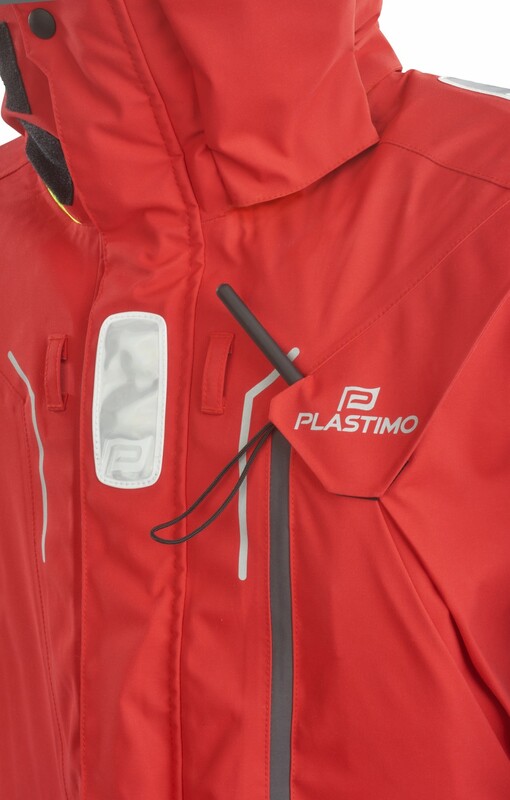 Plastic hook in righthand pocket. 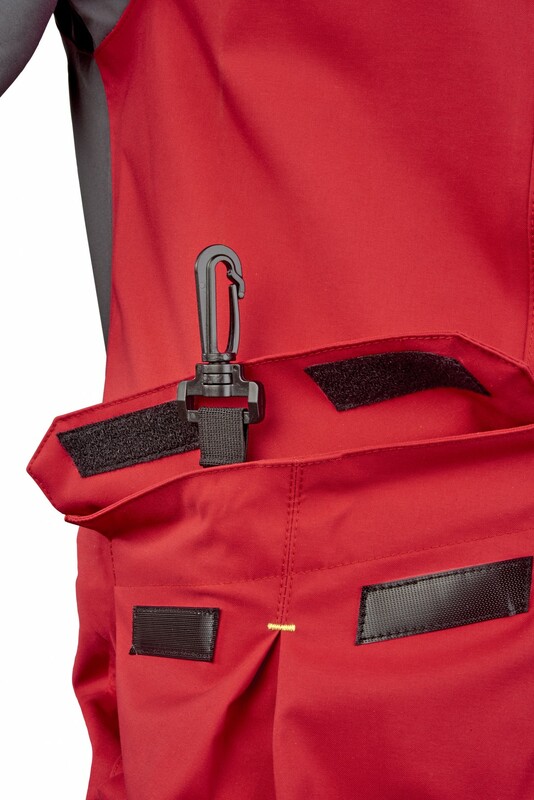 Breast pocket with velcro flap tailored to hold a handheld VHF. 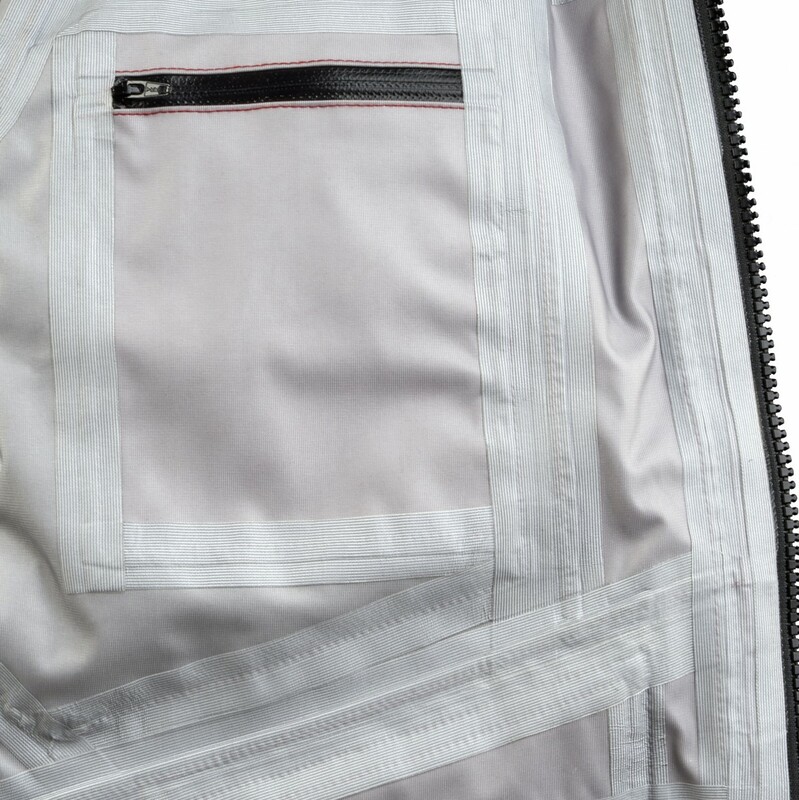 Forearm pocket with waterproof zip. 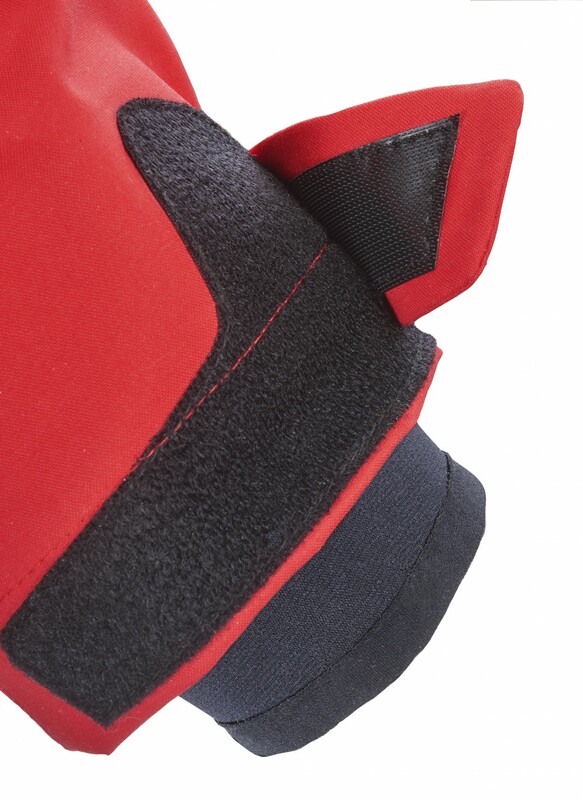 Adjustable cuffs with non-abrasive, anti-catcher velcro and neoprene cuff wrist seals. 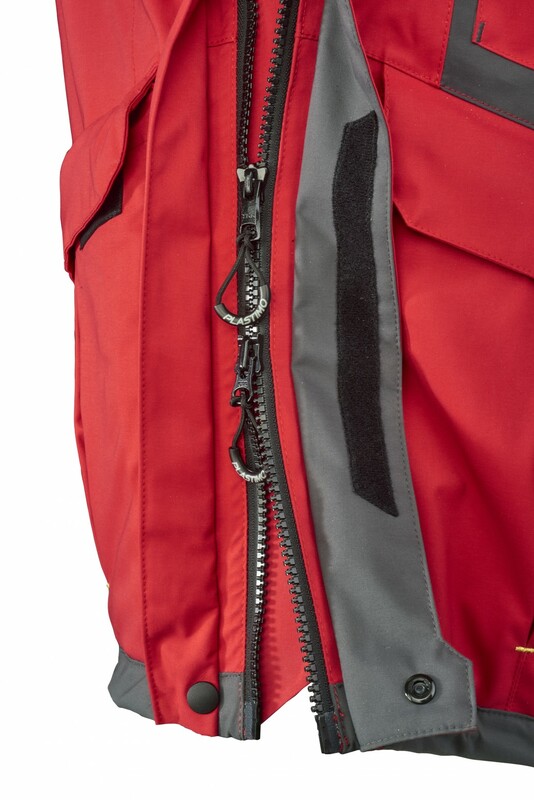 Press-studs and 2-way YKK® zip protected by a double storm flap, non-abrasive and anti-catcher velcro. 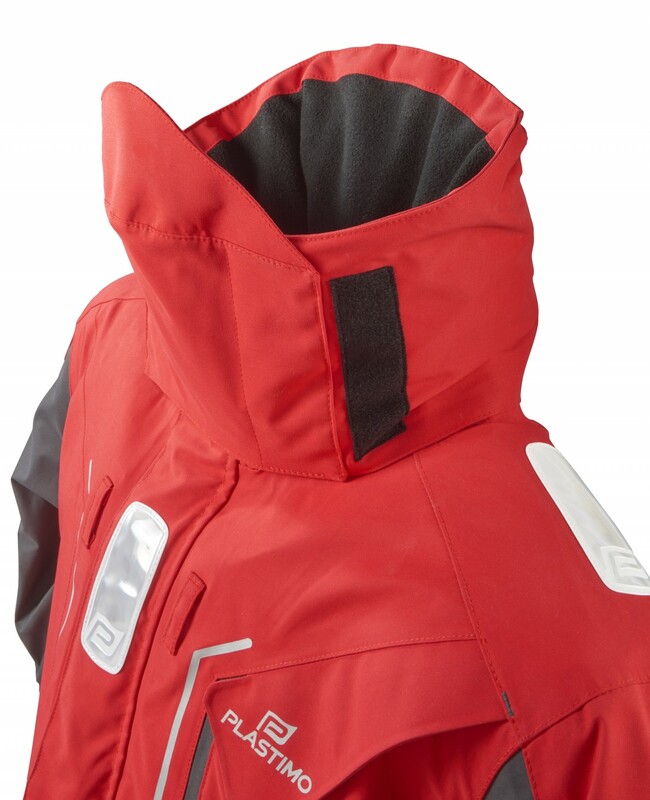 Removable gaiter prevents water ingress and provides thermal protection. 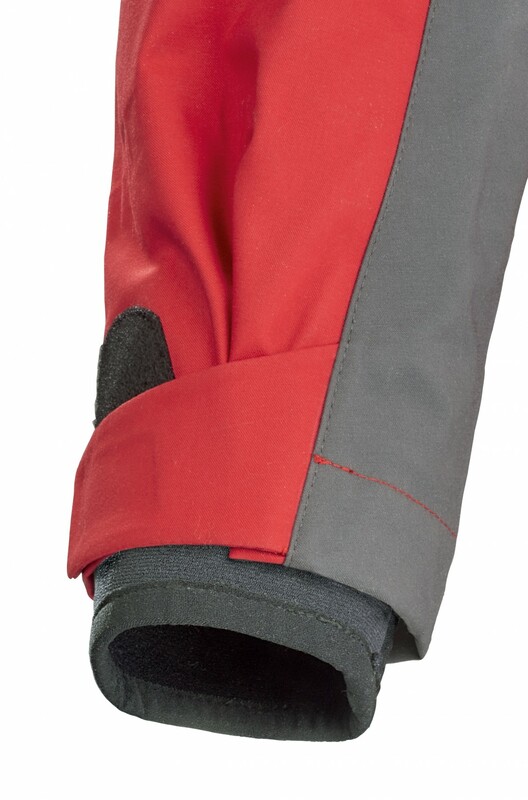 A non-slip silicone ribbon holds the gaiter correctly placed on the trousers. Hem tensioner and waist adjustment with drawcord. 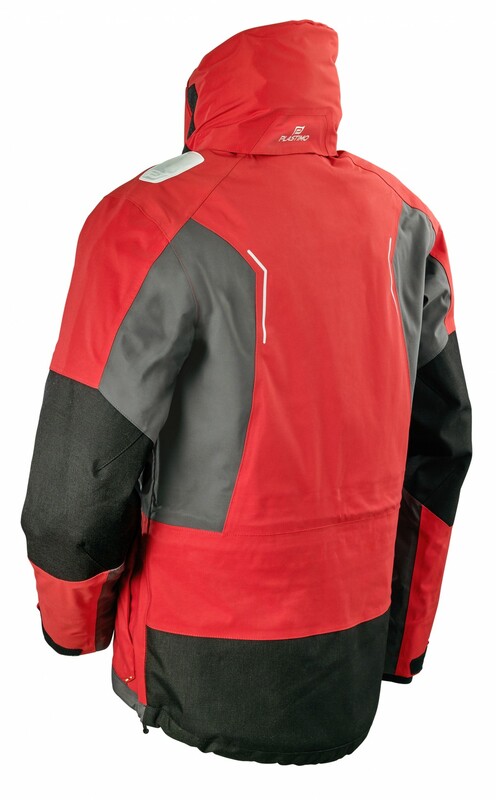 Seams are thermo-welded and feature reinforced patches.